1.02 Billion people are hungry globally, and 14 million kids are hungry here at home. 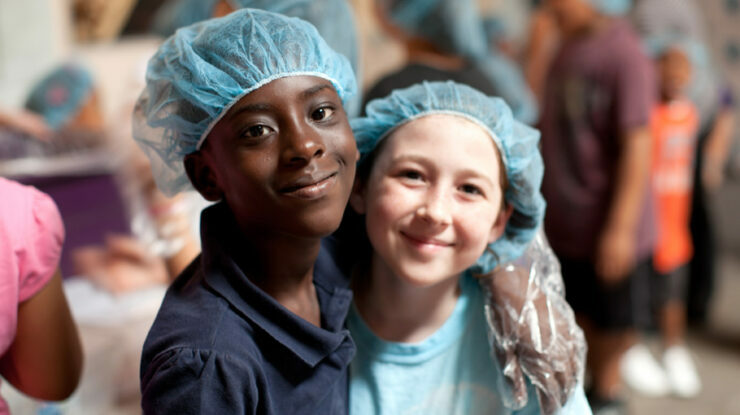 Feeding Children Everywhere is a social charity that empowers and mobilizes people to assemble healthy plant-based meals for hungry children. The movement began in 2010, when Don and Kristen Campbell volunteered to send meals to Haiti after the devastating earthquake. Inspired to do more, the Campbells scraped together family savings and founded Feeding Children Everywhere. 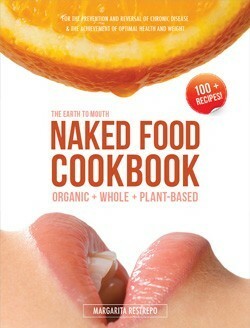 Naked Food Magazine heard about this organization, and felt compelled to contribute to their cause in anyway possible. Our work has just started. 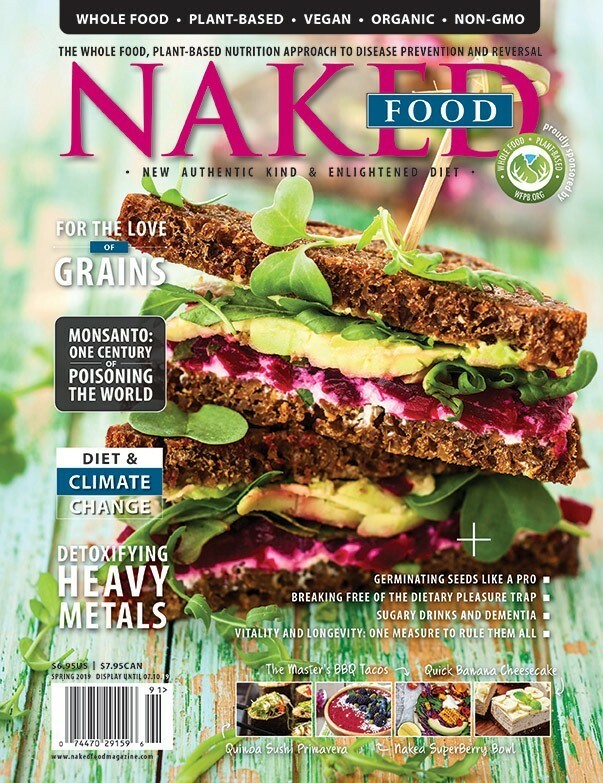 With every magazine sold, we will provide 4 plant-based meals to hungry children. We interviewed Don Campbell to learn more about the significant work of Feeding Children Everywhere, and the ways we can all can get involved. Q. 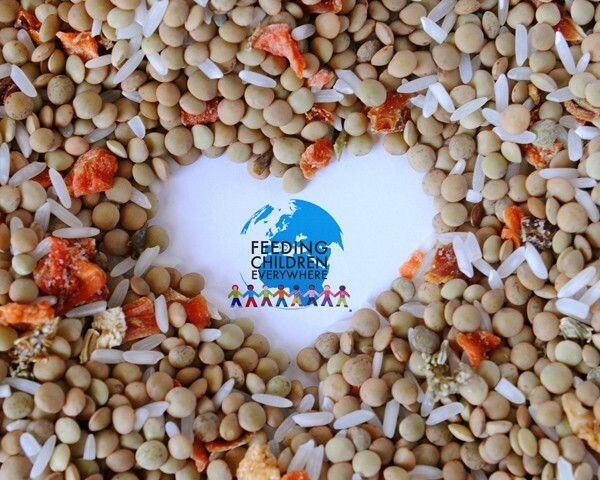 You are not just feeding children; you are providing them healthy meals. Can you tell us about the meal and its nutritional benefits? A. I can (smiles). Health is important. Taste is important. When we thought about what kind of food we wanted to feed people, we wanted to make sure that it had a health side to it and a taste side to it. We believe people are born with taste buds, and we believe food is supposed to be enjoyable. We wanted to provide a meal that people would enjoy eating, but the health side was the important one. We wanted to be different from other organizations that do what we do, and separate ourselves from them by getting away from soy products and things that trigger different estrogen reactions in the body. The goal was to provide a healthy, tasty, well-balanced meal that we could still keep within our price point of $0.25 per meal. 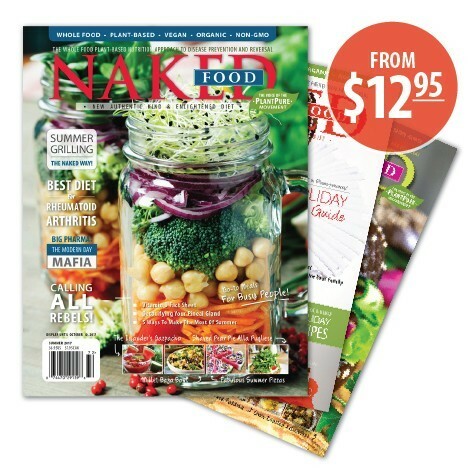 The healthy ingredients of lentils, rice, dehydrated vegetables, and pink Himalayan salt can be packaged and shipped for 25 cents per meal. The meal is delicious and at the same time provides a balance of protein, vitamins, and minerals. Q. Why do you include Pink Himalayan Salt in your meals? A. Pink Himalayan Salt is one of the purest things left on the planet. Most Himalayan salt is about 98% pure. The salt contains 84 trace minerals naturally, and we thought that if we are feeding children everywhere, salt is a global commodity. American Chicken flavor for example, isn’t. It is a synthetic flavoring that is typically made in our culture, and we use it in so many different things such as corn syrup and other flavoring agents. PHS is pure, is healthy… every palate in the world loves it, and it provides more than just taste. Q. One quarter feeds a child. How is this possible? A. Well, a big part of my job is to research out commodities such as rice, lentils, vegetables, and salt, and buying them at the lowest we can and in the largest quantities we can to stay within that price point. Our model is really based on mobilization of people. By mobilizing people, and providing them with a neat, fun, goodwill type of experience, we find a lot of free labor quite frankly. So we use hundreds of thousands of volunteer hours on an annual basis to provide the engine behind our assembly lines. Our model is based on empowerment and mobilization of people. Q. Feeding Children Everywhere does not include meat, dairy, or sugar products in meals, why? A. It is difficult to provide those things for one. When you are providing a dry meal there is a shelf life and to some of the people that we feed we send a container of food into a location that might use that food, let’s say, a quarter of a million meals over a year. We don’t want to put products that can have any decomposition in that meal pack. Providing a dry meal also gives us the opportunity to ship it into places and work with groups that may have dietary restrictions. For example in Israel, there are products that they can’t eat – so our meal is designed to be friendly for a kosher-type meal . People also have food allergies, so our meal model is based on that as well. We haven’t found anyone who is allergic to lentils, rice, vegetables, or Himalayan salt. Q. Some parents believe that bad foods (fast food, soda, sugar) are good ways for kids to indulge. What is wrong with that? A. Well – they make you fat for one. You want health. We only have so many days in this planet, and if we put bad things in our body, we limit those days. I think it’s a lesson for all of us to learn, eat different and think different for better results. If we allow our kids to indulge on these things, our future is doomed. We are going to have higher health costs, higher obesity rates, higher health insurance premiums. If we can teach people early to eat healthier we have a better chance as a race. If we can get people to believe that putting good stuff in your body early and reduce some of the bad stuff we put in their bodies such as hormones from animal foods, we’ll see a better future. Q. Most western kid-meals are not nutritious, and also expose children to diabetes, obesity, anemia, allergies, asthma and other conditions. How can we follow the example of your meals to feed our children at home? A. That’s a good question. We have a far-reach goal as an organization: We believe that we can provide the alternative to hunger in the United States. We believe our model, because it is based on mobilization and empowerment of people, while providing the healthy side of these meals, that we can really start seeing the face of our nation change. The more that we can do by uniting people to take back over some of the hunger issues in our country and some of the social responsibility side of it, we can almost become the organization that provides the healthy meals at a low price. Q. How and when are the meals distributed? A. Where the biggest need is. We have people that will contact us; we have correspondence with people in areas that we know are Title I schools or where there are a lot of families in transition here in the United States. Globally, we have a lot of correspondence coming from people who are in high need. We take almost every organization through a bidding process of some sort to make sure that they’re capable of receiving food, and they’re not going to take our food and turn around and sell it. We make sure that they do what they say they are going to do with the food. Q.How can people get involved? A. There are several ways. Our model is based on mobilization and empowerment of people so everything we do involves people. I would say, come to an event, or put an event together. What happens when you provide a real life changing experience with people, and invite other people to experience it with you, then you have a much further reach within the region in which you are working. So the steps to take are: One, come to an event. Check our site for events coming up in your area, or, second, be the host of one; champion a food-packaging event to provide healthy meals for your community. Thirdly, you can look into our website and learn a little bit more about what we do, but I think that by actually doing something, and by putting some action behind your desires, is really how we can make things change in the world. To support, donate, and for more information visit FeedingChildrenEverywhere.org. Follow them on Twitter: @IAmFCE, or on Facebook.